This year’s Elevate theme is workforce trends—with a focus on diversity, equity, and inclusion. Successful social-impact leaders must value innovation and efficiency while at the same time fostering an inclusive work environment that ensures every member of our workforce is able to contribute fully to the shared enterprise. Backed by American Express, 2019 Elevate virtual conference brings together social-impact professionals from all over the country to give us the tools and insights we need to build a stronger working environment. Please use this page to log in to the conference daily. We are excited to bring you live keynotes, on-demand sessions, a resource library, and an opportunity to build your own personal and professional network. 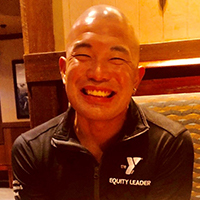 Chad is a Hawaii-born New Yorker and student of the world having served with the YMCA of the USA (Y-USA) Diversity, Inclusion & Global (DIG) team since 2011 and is national director of diversity and inclusion. With an amazing team, Chad helps to build local, state-wide and national capacity to engage diverse, underserved and marginalized communities, co-leads strategy and support of Y-USA’s DIG Innovation Network, and leads integration of inclusion and equity strategies towards community bridge building and social cohesion for all in the 10,000 communities the Y serves across the U.S. 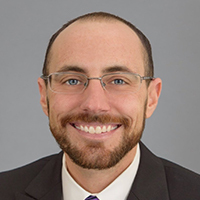 Previously, Chad served as Director of International Operations & Youth Exchanges for the YMCA of Greater New York, where he was part of an era of dynamic growth in cultural exchanges, collaborations, and global education/inclusion programming. A strategic, effective and passionate NGO professional of nearly 20 years, Chad holds a bachelor’s degree in human services administration and youth development and a master’s degree in organizational management and leadership from Springfield College in Massachusetts. Chad has traveled to 37 countries on almost every continent of the world, participated in the globally recognized Semester at Sea study abroad program, volunteered with the CASA YMCA youth shelter in Tijuana, Mexico, represented Y-USA in global settings and the World YMCA at the United Nations, keynoted at numerous national events, lived in Hong Kong for two years and served as Youth Director with the YMCA of Honolulu. Chad can be reached at chad.hiu@ymca.net and lives in Chicago with his partner of nine years. Lucy is one of the most innovative and inspirational speakers in the HR profession. Having led HR in major organizations such as the BBC she knows why HR has to change and offers genuinely fresh perspectives on how to do it. Lucy is the founder of Disruptive HR which she created having grown frustrated with the lack of innovation and fresh thinking in the profession She and her team work with business leaders and HR professionals across the world to help them lead, engage and develop their people differently. Lucy is also the author of the bestseller “HR Disrupted” a book packed with practical ways to innovate your approach to leading people in a disrupted world and her very latest book bestseller “The HR Change Toolkit” providing the complete guide to making it happen. Jessica Rojas is the Manager of Diversity and Inclusion with YMCA of the USA (Y-USA) In her role, Jessica leads team support of our six nationally recognized Employee Resource Groups (ERGs) and other key networks; coordinate and implement equity related national conferences; and provide counsel and assistance to local Ys in advancing organizational diversity and inclusion towards ensuring that all segments of society may access and thrive at the Y.
Lauren Reyes has been with the Y for over 12 years, currently serving as the District Executive Director of the Parkville and Perry Hall YMCAs; part of the Y in Central Maryland. 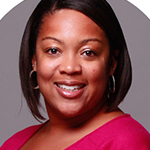 She began her career working in Youth Development with the YMCA of Greater Richmond (VA). Lauren’s passion for developing others is illustrated by her commitment to various local and national projects. She is a trainer for several Diversity, Inclusion, Global courses offered through Y-USA. Lauren is the Chair of the National Emerging Leaders Resource Network, an employee resource group focused on developing and retaining Millennials at the Y; and the Vice Chair of the Y-USA Multicultural Advisory Council. 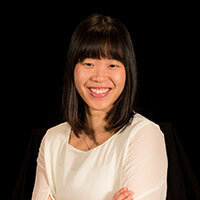 She is also a member of the Diversity, Inclusion, and Global committee for the Y in Central Maryland. Lauren graduated from the University of North Carolina at Chapel Hill with a B.A. in Psychology. She is married and has twin boys. Susan is CEO/Executive Director of AJLI, an organization of 140,000 women empowered civic leaders creating community impact. Susan’s insights about women’s leadership and organizational transformation are shared online and at conferences around the world. Before joining AJLI, Susan was the executive director of the Center for Women’s Leadership at Babson College. Her corporate experience includes positions at Procter & Gamble, Calvin Klein hosiery, retail chain Express and Christie’s auction house. Susan holds a B.S. from Northwestern University, an M.S. from Boston University and an M.B.A. from Harvard Business School. She is the treasurer on the Board of the National Women’s History Museum in Washington, D.C., the board chair of the National Human Services Assembly, is a trustee of Miss Hall’s School, a preparatory school in Western Massachusetts and serves on the advisory board of Reading Is Fundamental (RIF). Michael is a diversity and inclusion (D&I) consultant, advisor and lecturer and co-founder of the Diversity & Inclusion Consortium, a national organization of more than 250 D&I practitioners and advocates. Michael is the principal owner of NE&E consulting and travels the country as a speaker, panelist and advisor on D&I topics and business imperatives. As the former corporate leader of Hallmark’s D&I department, he was responsible for Hallmark’s D&I’s strategies and priorities, their internal and external collaborations, partnerships and compliance. He was responsible for the execution of the D&I’s priorities regarding, workforce, workplace, marketplace and community. Michael was also responsible for the company’s seven Employee Resource Groups. 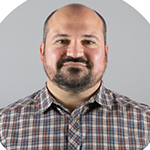 He’s skilled in the areas of building critical relations, innovation and resourcing, business collaboration, employee relations, diverse and cultural understandings, compliance metrics and program management. Thomas Hudson currently serves as the LGBTQ+ Policy Associate at the Biden Foundation located in Washington, D.C. Thomas manages a national public education and storytelling campaign, facilitates youth roundtables centering the experiences of young people with intersectional identities, and provides technical assistance and research support to other national youth-serving organizations working to implement LGBTQ+ inclusion and equity into their programs, policies and practices. Previously, Thomas served as a congressional intern for Congresswoman Karen Bass. Thomas continues to use his personal experience and knowledge to educate and ignite change for all youth. He held a statewide officer position in Foster Care Alumni of America’s Oklahoma Chapter. He has developed and coordinated statewide trainings for child welfare professionals. 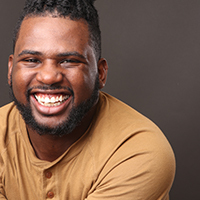 Thomas has successfully coached youth to strategically share their personal stories to impact and transform the lives of youth in foster care. In her role, Ellen provides national leadership and expertise in public education and advocacy efforts on behalf of LGBT youth and families. Ellen oversees a portfolio of highly successful projects that promote fair and inclusive policies and practices; All Children—All Families; Welcoming Schools; the HBCU Project, and Youth Well-Being, which includes the annual Time to Thrive conference. Ellen is sought out as an expert on topics related to LGBT youth and families, and frequently speaks at national and regional conferences and provides training and consultation for child welfare professionals, educators, and healthcare providers. 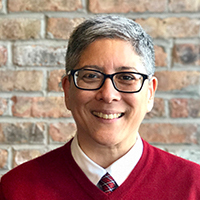 Prior to joining HRC, Ellen spent 12 years at the Whitman-Walker Health in various roles; Director of the Lesbian Services Program, Associate Director of LGBT Health Promotion, and as supervisor of a behavioral health program for people with HIV. 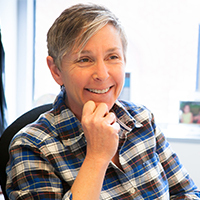 While at Whitman-Walker Health, Ellen established “Choosing Children,” a robust program for LGBT parents and prospective parents, including “Maybe Baby” groups, an annual “Parenting Day,” and a range of support groups for LGBT parents. Ellen was a founding board member of Rainbow Families DC, the capital area’s support and education organization for LGBT-headed families. She has facilitated “Maybe Baby” groups for over 15 years and consults with dozens of prospective LGBT parents each year. Ellen received her B.S. from Temple University and her M.S.S. from the Bryn Mawr College School of Social Work and Social Research. Ellen is the proud mom of two fabulous daughters, ages 18 and 14, and lives in Silver Spring, MD. Beck Bailey serves as acting director of the Human Rights Campaign Foundation’s Workplace Equality Program, which focuses on helping America’s largest and most successful business become more lesbian, gay, bisexual, transgender and queer (LGBTQ) inclusive through direct consultation and education as well as research and publication on corporate best practices. He regularly supports corporate stakeholders – from the C-suite to the shop floor – in building greater LGBTQ-inclusion through public speaking, facilitated workshops, customized training and in one-on-one consultation. During his tenure at HRC, Beck has engaged hundreds of corporations in deepening their impact by supporting legislative action to create workplace protections for LGBTQ people or to actively oppose legislative efforts to undermine equality. Prior to joining the Human Rights Campaign in 2014, Beck spent 25 years in the private sector in operations and change management roles. A lifelong LGBTQ advocate and out transgender man, he often speaks about his personal experience as a way to increase awareness and understanding. Beck proudly serves on the Advisory Board for Reaching Out MBA (ROMBA). Beck holds a B.S. in management from Virginia Tech and an M.B.A. from the Isenberg School of Management at UMass Amherst. 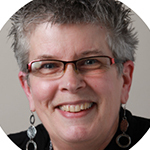 With more than 33 years of experience, Kay is a recognized expert on workplace design and strategy issues. She has worked with several Fortune 500 companies to optimize their global real estate portfolios and create innovative work environments. Kay is considered an industry thought leaders on workplace. She has authored multiple white papers and articles on a variety of design related topics including wellbeing; next gen workforce; technologies impact on the workplace; space fusion and the rise of the human factor. Kay speaks regularly at CoreNet, IFMA and other industry events globally. She has been honored with the ‘Luminary Award’ from CoreNet Global multiple times for being one of the top rated speakers. She was also rated the “Top Rated Presenter” at the Tradeline’s 2015 Space Strategies conference. As director of HOK’s WorkPlace team, a practice that supports organizations undertaking multiple projects in various locations, Kay is responsible for helping clients redefine how, when and where their people work, working in tandem to support a holistic design approach that integrates an organization’s people, processes and technology. Kay was recently elected to serve on the International Federation of Interior Designers /Architects where she represents designers in the United States. Kay was also elected to the CoreNet Global Board in 2017 and serves on the Governance Committee. 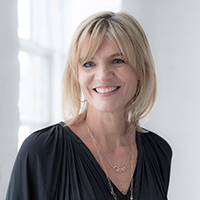 In addition she serves on the HOK Board of Directors; the National ASID Foundation Research Taskforce; the Advisory Board for WorkDesign Magazine and on has served on the Advisory Board of Virginia Tech School of Architecture and Design. During her career Kay has also served on the International Boards of IIDA, ASID and NCQLP. 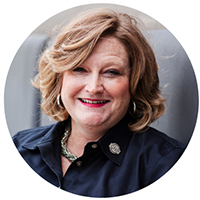 She is an active member of IFMA and co-founder of the IFMA Workplace Evoluntionaries, WE, community, and for the past five years has served as co-host for the IFMA WE monthly workplace webinars. Billy joined Fair Trade USA in 2009 as the first National Coordinator of Fair Trade Towns in the U.S., a global grassroots movement of Fair Trade advocates focused on normalizing Fair Trade as an institutional practice and consumer preference that today boasts over 2,000 Fair Trade Towns across 32 countries and on 6 continents. Under Billy’s leadership, the movement here has evolved from a handful of towns into Fair Trade Campaigns, a national network of advocacy groups comprised of nearly 300 local campaigns with formal programs for Fair Trade Towns, Fair Trade Colleges & Universities, Fair Trade Schools and Fair Trade Congregations. Through this network, Billy also manages a range of strategic partnerships for Fair Trade USA including nonprofit organizations within the Fair Trade movement as well as important stakeholders in the larger social justice and sustainability movements. Billy and his team are focused on activating consumers to make a difference through their own purchasing decisions, influencing their fellow community members, increasing the availability and visibility of Fair Trade locally, and leveraging the immense purchasing power of the institutions that they are part of to empower producers around the world. Prior to joining Fair Trade USA, Billy spent eight years running outreach, community engagement and staff development for Clean Water Action. He recruited, trained and developed hundreds of grassroots organizers and facilitated campaigns on national, statewide, and local levels. He has mobilized fence-line communities and organized public hearings, as well as other local actions to hold polluters accountable and influence environmental policy. Upon traveling with his wife, Rachel to South America, Billy was inspired to focus his career on international justice and has embraced the opportunity to contribute to the Fair Trade movement. 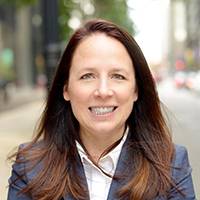 Jaye Hobart is the Grants and Project Manager at Woods Fund Chicago. She works closely with the President to lead the Truth, Racial Healing, and Transformation Greater Chicago process and develop and manage a grantmaking process for the Grassroots Alliance for Police Accountability project. Prior to joining Woods Fund, Jaye worked at the Civic Federation and the Center for New Community. She also served as the project coordinator at the ACLU of New Mexico’s Regional Center for Border Rights, advocating for civil and human rights along the U.S.-Mexico border. She received her M.A. from the School of Social Service Administration at the University of Chicago and a B.A. in women and gender studies from Luther College. 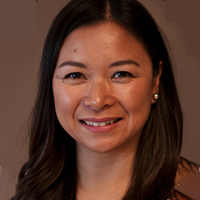 Jaye serves on the board of Korean Adoptees of Chicago and New Leaders Council Chicago, and is a co-chair for the Chicago Chapter of Asian Americans/Pacific Islanders in Philanthropy. Kim Fountain has worked in the LGBTQ movement for nearly 25 years, primarily at community centers and anti-violence organizations. Whether taking to the streets in protest, testifying at public hearings or writing policy and advocacy pieces, LGBTQ communities are at the heart of her work. She is a consultant with the Office of Victims of Crime Training and Technical Assistance Center; a Board member of the National Asian Pacific American Women’s Forum; and a published author. Dr. Fountain is a cultural anthropologist of violence and identity, which informs her work. Susan Tomlinson Schmidt has dedicated her life to serving others through more than 25 years advancing the missions of social-impact organizations. Currently, Schmidt is the president of the Nonprofit Leadership Alliance, an organization that develops talent for the nonprofit workforce. 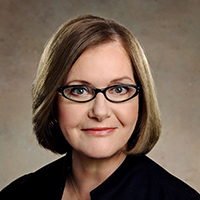 Schmidt joined the Alliance in January 2013 as the chief operating officer where she implemented several strategic initiatives, including the development of Leaderosity, an online learning system that provides affordable and accessible access to high-quality professional development. As a result of her guidance in enhancing member services and building strategic partnerships, the Alliance is in one of the most rapid growth periods of the organization's history. Previously, Schmidt was executive director of the Institute for Philanthropy and Nonprofit Leadership at the University of Memphis. The Institute is a research center focused on the study of the regional nonprofit sector. While there, she also directed the university’s Nonprofit Leadership Alliance program. She received her master’s in public administration from the University of Memphis and is a Certified Nonprofit Professional. Schmidt and her husband, David who is a professional chef, have two sons, Patrick and Walker. They live in Leawood, Kansas. Rhodes Perry believes in the power of authenticity at work. He puts this belief into practice by helping business leaders, change agents, and visionaries at all levels cultivate workplace cultures of belonging through his leadership and management consulting firm. He is an award winning social entrepreneur, best-selling author, and sought-after speaker. 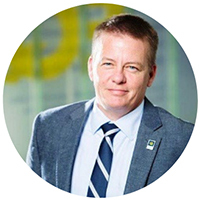 Nationally recognized as a LGBTQ thought leader, he has two decades of government and nonprofit experience having worked at the White House, PFLAG National, and the City of New York. Media outlets like Forbes, The Wall Street Journal, and the Associated Press have featured his powerful work as a diversity, equity, and inclusion subject matter expert. Rhodes also hosts a weekly podcast, “The Out Entrepreneur,” which has empowered over 35,000 LGBTQ and ally entrepreneurs to pursue their professional passions and build the businesses of their dreams. Rhodes earned a Bachelor of Arts in Economics and Gender Studies from the University of Notre Dame, and a Master of Public Administration from New York University. He spends his free time bicycling world-wide, hanging out with his family in Portland, Oregon, and serves on the Portland Human Rights Commission, the Portland Area Business Association’s Board, and the National Diversity Board for Studies Weekly. 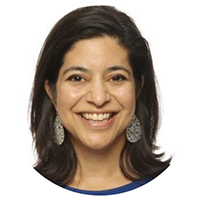 Sachi Shenoy is co-founder and chief impact officer at Upaya Social Ventures, and fundamentally believes that entrepreneurship and market forces can be harnessed in creative ways to expand access to productive opportunities for all. She is a seasoned entrepreneur and has over two decades of experience holding leadership positions in both the nonprofit and financial services industries. Prior to Upaya, Sachi worked at Unitus, CDVCA, SKS Microfinance, JP Morgan Chase, and PricewaterhouseCoopers. She holds a B.A. in economics and an M.B.A. in finance and entrepreneurship with high honors from the University of Chicago. Karen provides strategic and technical leadership to Y-USA’s Americans with Disabilities Act Compliance and Inclusion portfolio. Prior to Y-USA, Karen was the senior director for the Integration Initiative at the Hockomock Area YMCA in Massachusetts where she provided support and inclusive opportunities for members and their families with diverse abilities. She also co-chaired Y-USA's National Diverse Abilities Working Group, which connects and shares best practices on how to include individuals with diverse abilities. Prior to coming to the Y, Karen was assistant director for the Center for Social Development and Education at UMASS Boston, a research center focused on promoting the inclusion of children with disabilities within the community. Karen has also previously worked at the Maryland Department of Disabilities and the National Federation of Blind. Monique Ellington is the Director of Equity and Community Strategy at Service Year Alliance, a nonprofit organization relentlessly pursuing a bold vision — making a year of service a common expectation and opportunity for all young Americans. Monique leads Service Year Alliance’s organizational planning and implementation strategy to advance equity in service years. She works to understand system barriers that may hinder or prevent the full participation all groups in service years. She works directly with service year programs to implement diverse, inclusive, and equitable practices. Over the past 15 years, she has developed initiatives supporting marginalized communities in Chicago, IL where she is based. Monique has witnessed first-hand the structural and systemic barriers at work. 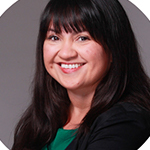 She works to advances equity across multiples strategies: policy, design and implementation, workforce development, employer engagement, and talent acquisition. Monique is graduate of Ohio Wesleyan University. In her spare time, she enjoys mentoring youth and exposing them to culture. 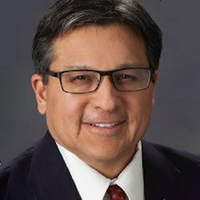 Michael Simpson President and CEO Pairin, Inc.
You will have access to log in starting May 1st using the email address you used to register for the event. Who do I contact if I have troubleshooting issues? Send an email to tech@vfairs.com for any technical assistance. Social impact leaders across sectors with the addition of learners using the conference to satisfy requirements for the Nonprofit Leadership Alliance’s Certified Nonprofit Professional (CNP) credential. Many of our presenters have shared their presentation as well as other resources. Please view their session in the Auditorium to see if they have made resources available. Additionally, there is a link to the on-demand presentations at the bottom of the On-Demand section in the Auditorium. We also encourage you to continue to view the Resource Library as we are continuously updating it with resources shared during the conference. The event will remain open 24/7 for three days. Therefore, you can attend whenever it’s convenient for you during this period of time. All live sessions are available on-demand 2 hours following the session. The conference platform will also remain open to you up to 30 days after the close of the conference.